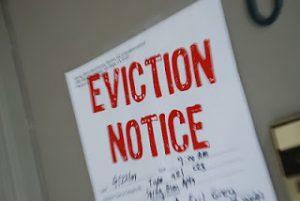 Our team handle over 200 court actions for tenant evictions every month on behalf of landlords throughout Scotland. We deal with all areas of tenant eviction actions, from public and private sector tenancies to commercial lets. We recognise that no eviction or home repossession is straightforward and prior to taking action we will discuss costs and prospects of success to ensure that you are fully informed. We pursue eviction actions for both rent arrears and antisocial behaviour on behalf of clients. In the last year alone we raised more than 1600 court actions based on these grounds. We have been involved in cases where we have obtained eviction orders based on criminal activity and antisocial behaviour which are now regarded as precedents in this field. We prepare the necessary eviction notices including Notices of Proceedings, Notices to Quit, Notice to Leave or Notices of Irritancy. If court action is required, we guide you through the process, keeping you advised at every stage. We also offer fixed fees where appropriate. We appear almost daily in courts throughout Scotland and before the First-tier Tribunal (Housing and Property Chamber). No distance is too far and our client base extends from the Borders all the way to Orkney. Our LetLaw team provide legal services tailored to the needs of both private landlords and letting agents and can help with all aspects of Scottish tenancy law, including tenant evictions. We have pursued eviction actions for rent arrears and anti-social behaviour on behalf of over 100 different RSL clients in courts throughout Scotland.